The Demeyere Atlantis 3 qt. 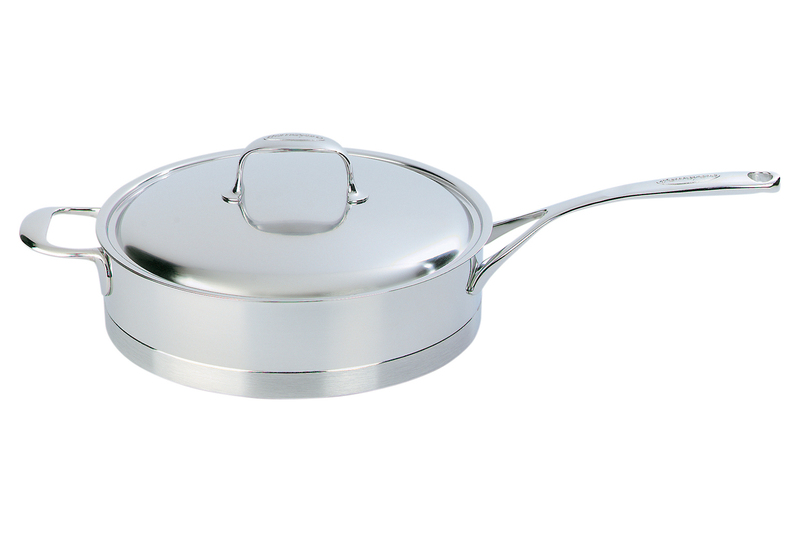 Stainless Steel Saute Pan with Lid has a wide, flat bottom and low sides to maximize the surface area available for heating.This enables all the ingredients in your dish to be heated at once and cook quickly. This Demeyere product uses stainless steel walls with a heat conducting seven layer base to achieve maximum performance everytime you use it. Lids are designed to fit snugly to retain maximum heat. Has a second "helper" handle for easier maneuvering on cook top. Demeyere trademarked "Inductoseal" bottom allows for slow, even heating and efficient energy use. For best results, if using gas, do not allow flames to reach sides of pan. If heating water, bring to boil or to desired temperature, then add salt. If heating highly acidic foods, we recommend not leaving in pan for more than six hours.